Seriously! I share your memes with a lot of people. 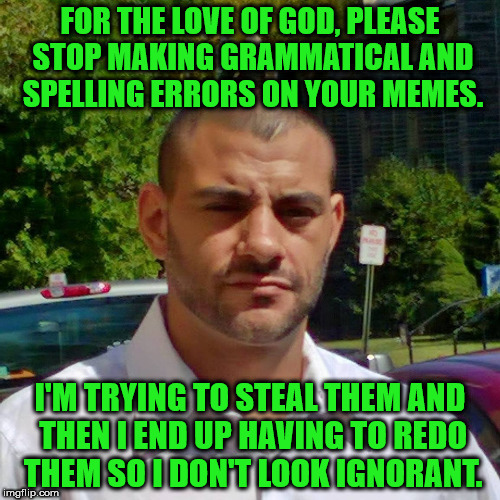 FOR THE LOVE OF GOD, PLEASE STOP MAKING GRAMMATICAL AND SPELLING ERRORS ON YOUR MEMES. I'M TRYING TO STEAL THEM AND THEN I END UP HAVING TO REDO THEM SO I DON'T LOOK IGNORANT.